Darth Vader and his Stormtroopers are set to make a brief visit to the NEC Classic Motor Show next month to let classic car owners know about the importance of getting the right insurance policy for their vehicle. We first ran the Star Wars theme last year but it went down so well that we decided to do it all again, and with the launch of the new movie it seemed perfect timing. 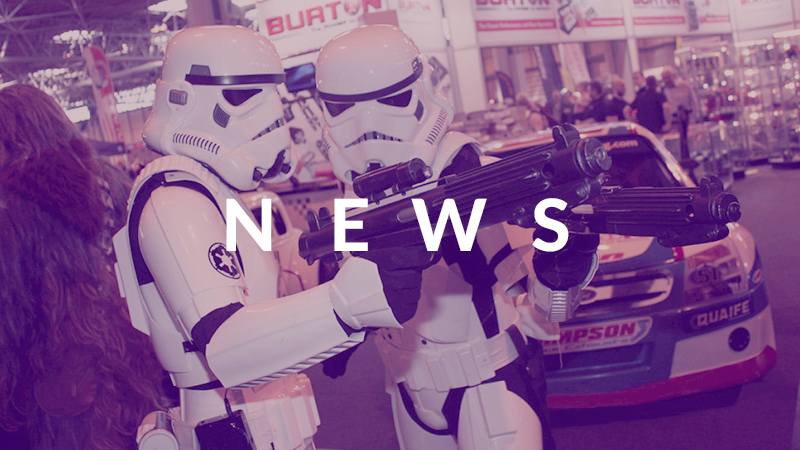 The galactic villain and his troops, along with TIE Fighters and Rebel pilots, will be landing at the NEC to join leading classic car insurer, ClassicLine on their stand to meet and greet visitors. Those visiting the stand will be able to grab a selfie with a Stormtrooper while finding out about ClassicLine’s specialist insurance policies and competitive premiums. Car owners will also get the chance to enter ClassicLine’s prize draw to win a year’s free car insurance courtesy of the insurance specialists. The Star Wars stand theme ties in with the upcoming release of Rouge One: A Star Wars Story, Decembers hotly-anticipated movie. Ian Fray, managing director at ClassicLine said “It’s not that easy getting here from a galaxy far, far away so we’re really pleased they could make it and will be joining us again at this year’s show. Last time we had Chewbacca jumping on the back of scooters and Darth tried out a new convertible so I’m expecting they will be causing just at much commotion this year”.